William Charles Piguenit was born in Hobart, the son of a convict of French Huguenot extraction. He was employed as a mapmaker by the Tasmanian Lands and Survey Department in 1850 and learnt lithography there from the painter Frank Dunnett (1822-91) and Robin Vaughan Hood (best remembered now as a framer, 1802-88) and developed an interest in photography. Piguenit accompanied James R Scott's expedition to Arthur Plains and Port Davey in 1871, to Lake St Clair in 1873 and exhibited photographs and paintings throughout the 1870s. He moved to Sydney in 1880, settled in Hunter's Hill and travelled extensively in search of landscape subjects. He visited England and Wales in 1898 and 1900. He is perhaps best known for his Tasmanian landscapes and his monumental painting 'The flood on the Darling 1890' (1895) in the Gallery's collection. 19th century Australian watercolours, drawing and pastels from the Gallery's collection , Sydney, 2005, 70, 71 (colour illus.). 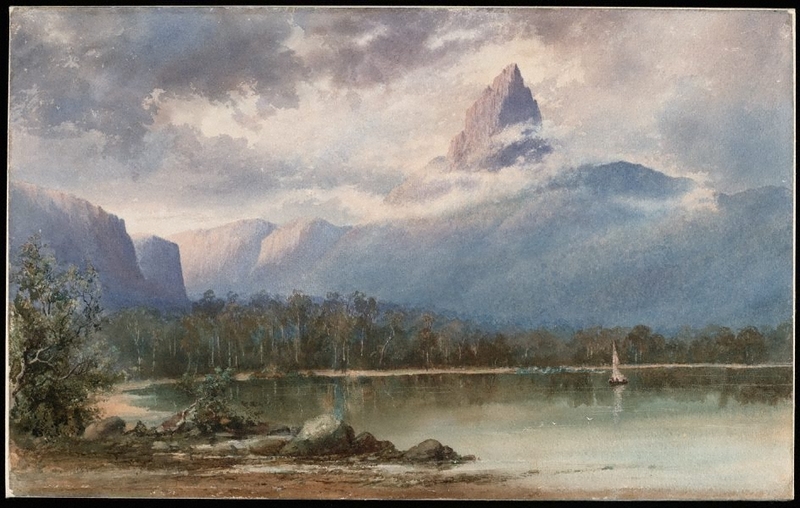 Australian watercolour painters: 1780 to the present day , 'The 1850s, 1860s and 1870s', pg. 52-61, Sydney, 1989, 59 (colour illus.). The Sydney Morning Herald , 'Fine arts', Sydney, 21 Nov 1881. Sydney daily telegraph , 'John Sands' competition', Sydney, 19 Nov 1881. The Sydney Morning Herald , 'Fine arts', Sydney, 16 Nov 1881.